Insomnia has become an American epidemic. Eight to nine hours of sleep, the minimum human requirement, is a thing of the past. But rest easy, our staff nutritionists have worked with thousands of sleepless clients and learned how to identify the causes of each person’s particular type of insomnia. 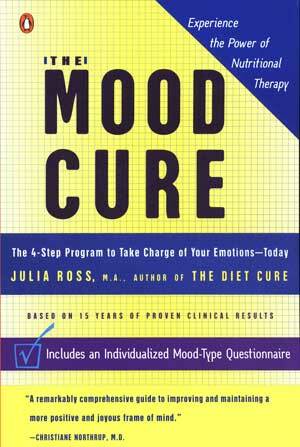 This has allowed us to develop the successful sleep remedies described in The Mood Cure. making tailored recommendations for nutrient supplements, as well as any needed food or lifestyle changes. This is the initial, informational phone call where we gather all of the necessary details about you and your sleep to determine whether or not our program is right for you. We base our recommendations for supplements, food, and lifestyle on your specific responses to questionnaires and the information that we gather in this thorough assessment process. We may also need to factor in the results of a sleep-targeted lab test. All this, and our experience with thousands of insomniacs over the past 20 years, allow us to recognize which nutrients will most effectively target your specific kind of insomnia. We will often recommend that our clients complete a salivary cortisol test to determine if cortisol plays a role in their insomnia, but this is optional. An excessive nighttime release of cortisol, the adrenal glands’ primary stress hormone. A deficiency in the brain’s sleep-regulators Serotonin and/or Melatonin. 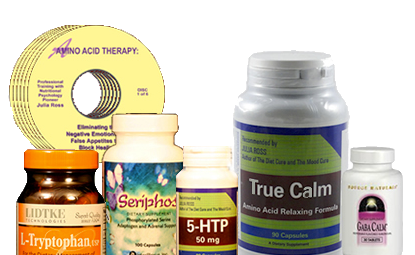 Over-stress resulting in a deficit of the brain’s tranquilizing neurotransmitter, GABA. A diet that does not support good sleep. Click here to view our more complete list of triggers and take the “Cracking Your Personal Insomnia Code” questionnaire. Especially if you have severe insomnia, we’ll almost always recommend a salivary adrenal cortisol test kit to determine if hyper-elevated cortisol levels play a role in your insomnia (which it often does!). If so, we have found many effective nutritional methods of reducing those levels to allow our clients to sleep well again, permanently. This is especially important if you are using sleep meds regularly. If your sleep Coach determines that a deficiency in one or more of your brain’s sleep-promoting functions plays a role in your insomnia, we will send you a kit that includes several capsules of each of the amino acids that could potentially correct the problems. Your sleep Coach will trial some supplements with you during your Skype session and tell you how to trial others that can only be taken at night. That way, you’ll discover if a supplement works before buying a whole bottle. You’ll Skype with your Coach once a week for at least a month, then, as needed, till you’re satisfied with your sleep. Even, if you have multiple factors contributing to your insomnia, it should not take long to see improvements. Some need to wait until test results arrive. Others realize that they need more help in establishing a sleep-supportive diet. Some find that even though their sleep improves, their energy level does not come back to normal. We can often help. Some want advice regarding their sleep-deprived spouse or child. Need one-on-one coaching to eliminate your cravings? The uncontrollable consumption of the most addictive and damaging substances ever known—toxic, lab-designed ice creams, chips, cookies, candies, and sodas—has fueled worldwide epidemics of overweight and diabetes. With tailored plans based on The Diet Cure and The Craving Cure, over 90% of Ross’ clients lose their cravings within a day.